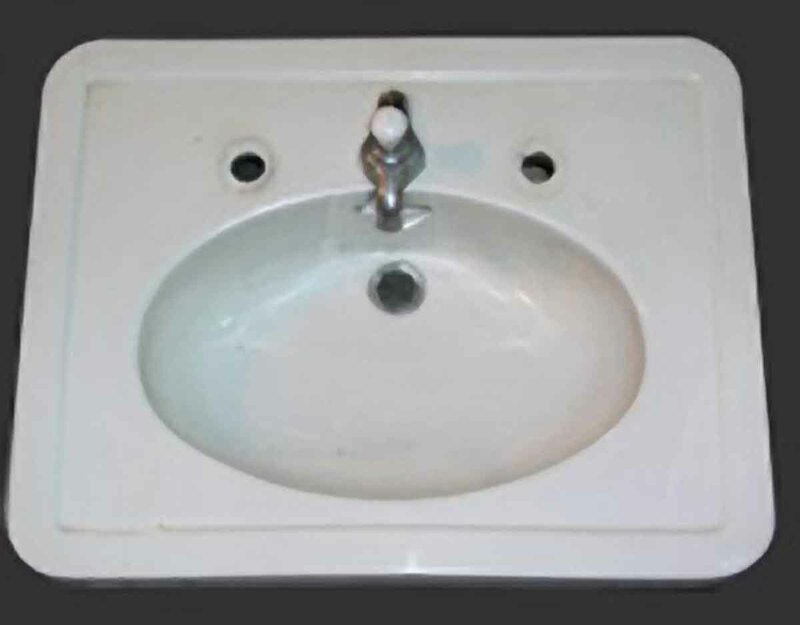 Porcelain sink by Crane with original nickel spout. This is a very nice thick porcelain and is in good condition, with only subtle hairline cracks in the glaze as seen in the pictures. It can be mounted to the wall with two legs in the front or it can be placed on a cabinet. Please email for available sink legs.